Check this one out! FABULOUS OPPORTUNITY to own this charming 3 bed, 2 bath, 2 car garage home with NO HOA and NO CDD! 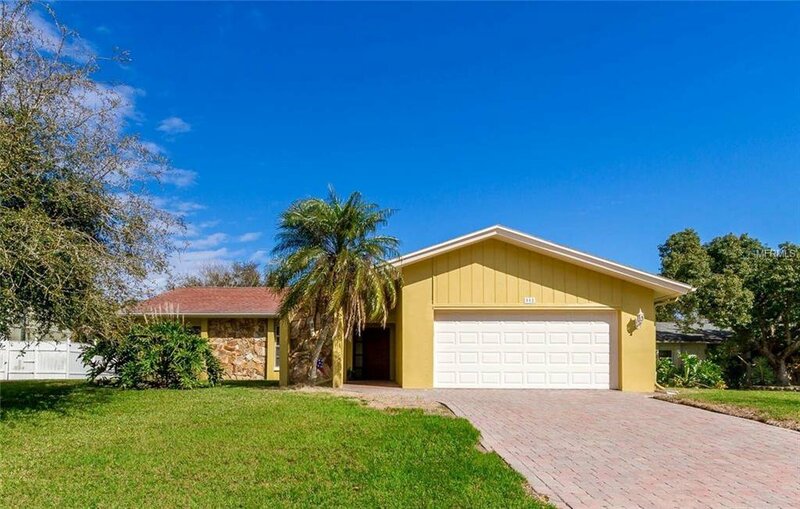 Home features an inviting, open floor plan and tile flooring throughout. Large family room has a vaulted ceiling, fireplace, pass through to kitchen and sliders out to your SCREENED lanai. Master bedroom features an en-suite bath. Out back you will find an AMAZINGLY LARGE private, fenced yard for play and tranquil relaxation. Convenient location close to shopping, beaches and much more. Repaired soil settlement with Engineer Report. Property insured now and is insurable. Listing courtesy of RE/MAX CAPITAL REALTY. Selling Office: BHHS FLORIDA PROPERTIES GROUP.